Cash for Clobber has become an annual charity and fund-raising event, and this year, pupils, once again, filled their green 'Cash for Clobber' bags with unwanted items for reuse and recycling. 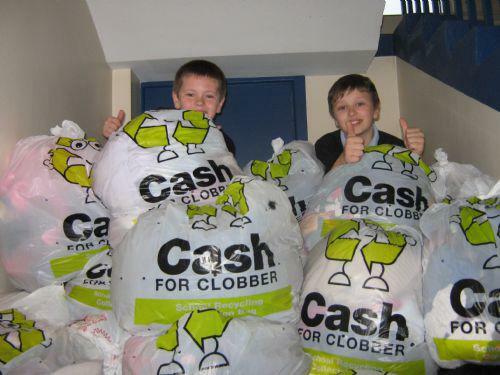 All types of shoes, clothing and textile items are accepted by the 'Cash for Clobber' scheme - each bag is designed to hold 8kg, and when bags have been filled, they are collected and weighed, school receives a payment, and items are reused in other countires. Read more about the Cash for Clobber scheme in the PDF below.